While the bezels aren’t as slim as some smartphones, it still has a decent 81% screen-to-body-ratio. Lenovo is kicking off MWC 2019 with the Lenovo Tab V7. Before we get too much into what the Tab V7 has to offer, this device isn’t slated to come to the United States. The countries that will likely be able to purchase this device are Latin American, Asia Pacific, European, and African countries. Lenovo says not all countries in those regions will see it either. Lenovo is shooting for a market niche that is looking for a device that’s close to tablet size but still offers smartphone functionality. The company thinks the Tab V7 would reduce the need for both a smartphone and a tablet. All of this while maintaining portability and maximizing battery life. The Tab V7 has a 6.9″ IPS FHD display and is powered by a Qualcomm Snapdragon 450 and up to 4GB of RAM with up to 64GB of storage. It also has an optional 128GB microSD card slot. The display is 18:9 aspect ratio. While the bezels aren’t as slim as some smartphones, it still has a decent 81% screen-to-body-ratio. The battery is a respectable 5,180mAh which should get most people through the day. Given that the display is FHD and not a higher resolution, battery-life should be improved because of it. It also sports Dolby Audio with dual front-facing speakers, something every smartphone/tablet should have. The rear camera is a 13MP sensor with auto-focus and the front camera is a fixed focus 5MP sensor. Security features include a rear-mounted fingerprint sensor and facial recognition. The Lenovo Tab V7 is a tablet with the DNA of a smartphone. You can comfortably consume multimedia on its large screen with great audio, as well as make voice calls with its dual SIM card slots. 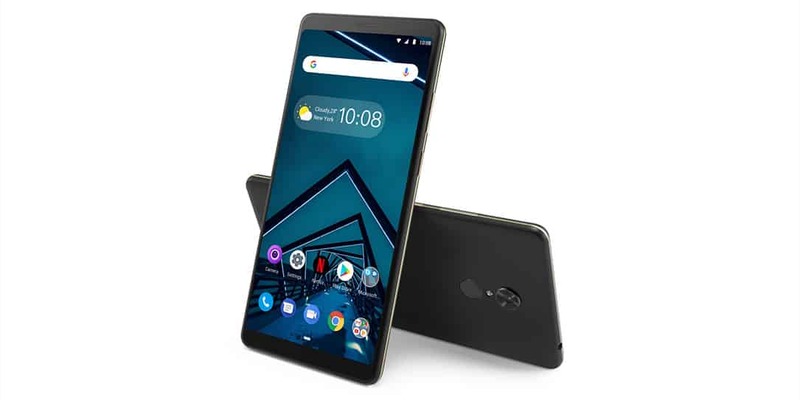 The Lenovo Tab V7’s portable design is made for pockets and mini-bags, accented by a top-of-the-line build sporting a premium metallic rim and thin-and-light profile at 7.89 mm thin and 195 grams (0.43 lbs). And best of all, your pocketbook won’t take a hit with its accessible price point. 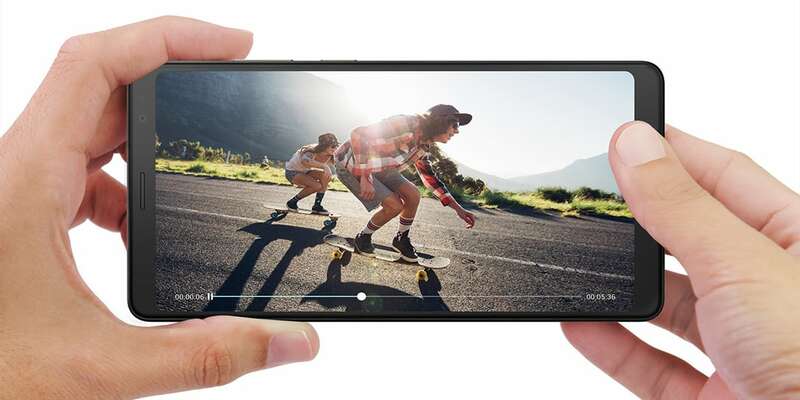 The Lenovo Tab V7 will start at €249 including VAT and is expected to be available on www.lenovo.com and select local retailers starting April 2019. What do you think of the Lenovo Tab V7? Let us know in the comments below or on Twitter, or Facebook. You can also comment on our MeWe page by joining the MeWe social network.